Hey everyone! 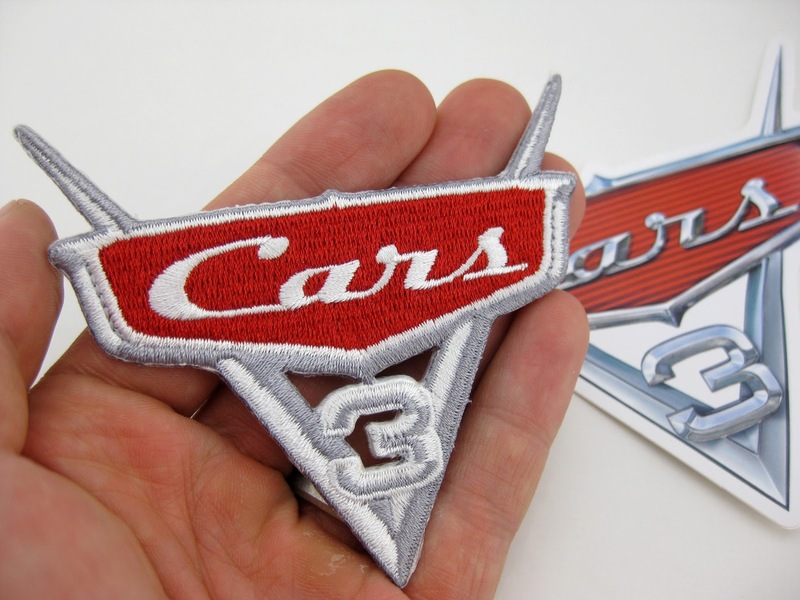 Today's post is gonna be pretty short and sweet, but if you're a diehard Pixar/Cars fan, you'll appreciate this. A few weeks back, my friends over at PixarPost.com sent me these fun little tokens from their most recent visit to Pixar (they were there covering the Cars 3 event this past spring). 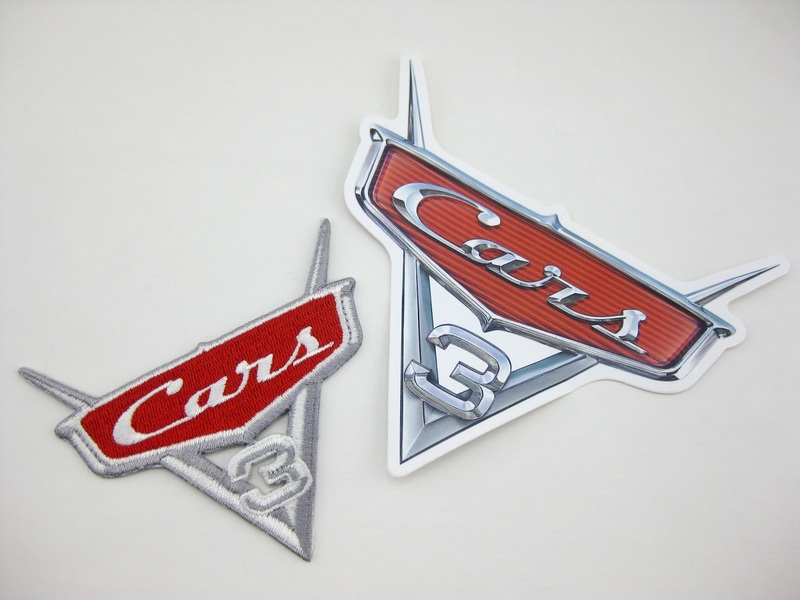 Here we have an iron-on patch and a sticker—both featuring the slick Cars 3 logo! These are currently available only at the official Pixar Studio Store located within Pixar itself in Emeryville, CA (not open to the public). A big thanks to TJ and Julie for thinking of me and sending me over something to ease the pain of not being there ;) These really are super cool! I included the picture below so you can have a sense of size when compared to my hand (they range at about 3-4.5" in size, the smaller being the patch of course). These may be simple, but man is it cool to have ANYTHING exclusive to the Pixar Studio Store. In that regard, both of these are valuable new additions to my collection! I haven't figured out the best place to put these quite yet, but I will. They're cool enough that they'll need a prime spot. So—what do you think? !